Shoppers are more educated than ever and the desire to do good while buying things they want and need is on the rise. 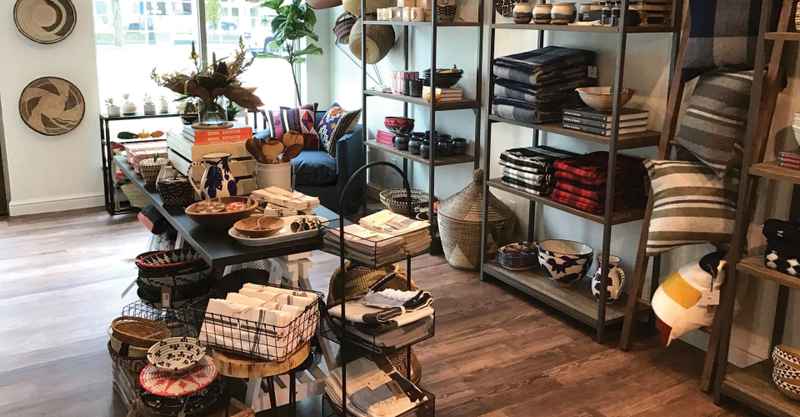 And BUNGALOW608 right off the Capitol Square packs a two-for-one punch, with stylish home décor and accessories, about half of which are fair trade. (Fair trade means artisans and workers are paid fairly for their goods, rather than lower than the standard of living). Owner Adrian Murphy opened the petite space last October after working in product design for an international fair-trade organization for a year. 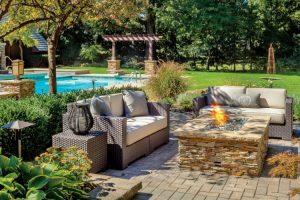 Murphy works with artisans in far-flung countries like Kenya and Rwanda, and domestically, like San Francisco and Woodstock, Illinois. Gorgeous textiles from Africa hang on the wall and pillows made with vintage Turkish kilims pop against the store’s soothing neutral backdrop. Stacks of hand-carved wooden kitchen utensils, bowls and trays from South Africa capture a minimalist vibe. San Francisco-made candles and diffusers with scents like teakwood and leather and oakmoss and amber tempt shoppers and deep blue hand-thrown pottery pieces by Illinois-based Blue Eagle Pottery (that are dishwasher safe!) convey farmhouse chic. Most importantly, there’s a story behind each product line Murphy carries. She’s proud her handmade kantha throws are made by a Bangladesh women’s co-op and the African baskets that pepper the shop employ basket- making skills the women already have—but they can get paid for now.